Estádio José Alvalade was built to serve as a playing venue for the Euro 2004 tournament and to provide Sporting with a modern home. 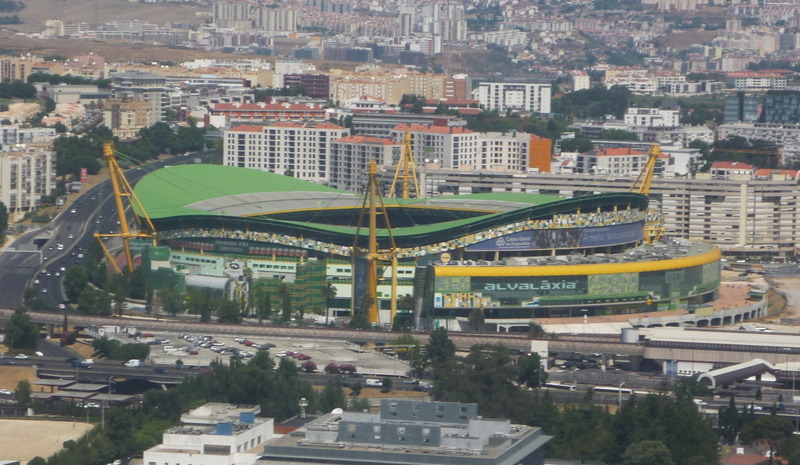 It was built right next to Sporting’s old Estádio José Alvalade. 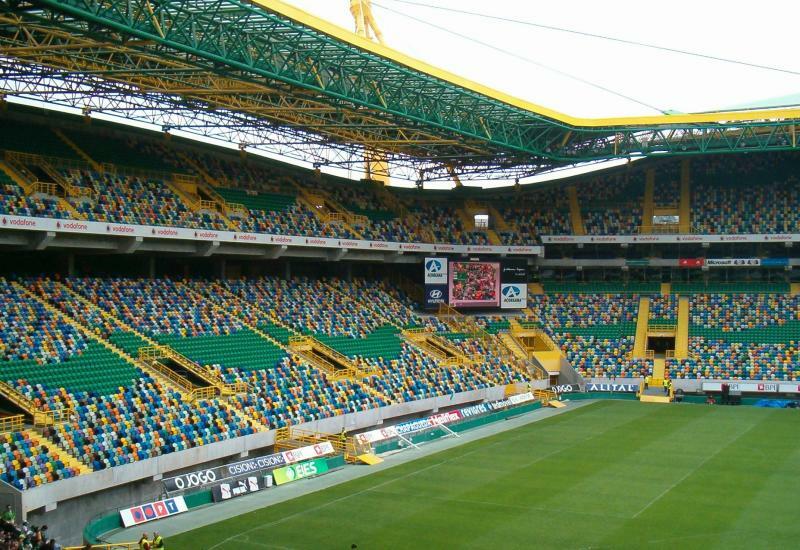 Estadio Jose Alvalade officially opened on 6 August 2003 with a friendly between Sporting and Manchester United (3-1). During the European Championships, it hosted three first round group matches, a quarter final, and the semi-final between Portugal and the Netherlands (2-1) . 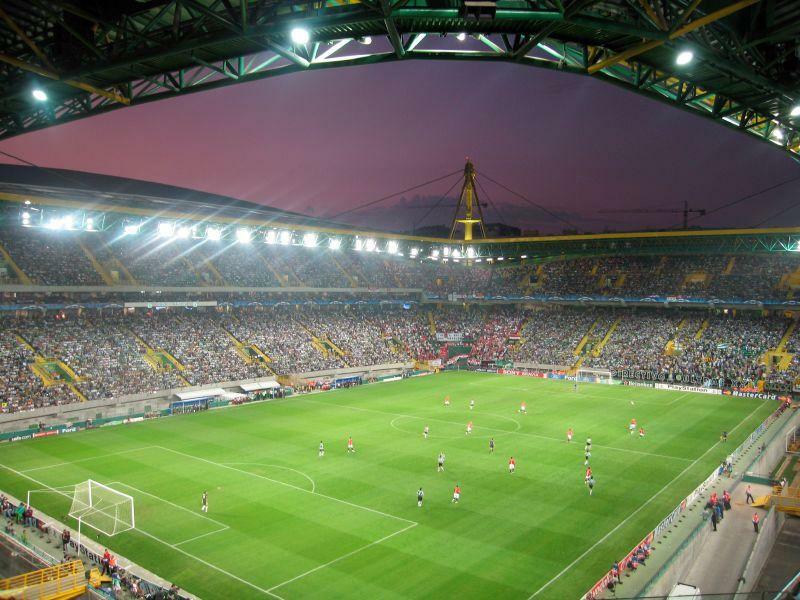 One year later, in 2005, Estadio Jose Alvalade hosted the UEFA Cup final between CSKA Moscow and Sporting (3-1). Estádio José Alvalade is located in the north of the city of Lisbon, about 7 kilometres from Lisbon’s historic centre and only two kilometres from Lisbon’s other major stadium, Estádio da Luz. The stadium lies next to the E1 motorway. Take exit 5 Campo Grande to get to the stadium. If using public transport, the stadium is best reached by metro. Take the green line from the historic centre and get off at station Campo Grande, which is next to the stadium. The yellow line also stops at Campo Grande, and may be useful from destinations north of the city centre. 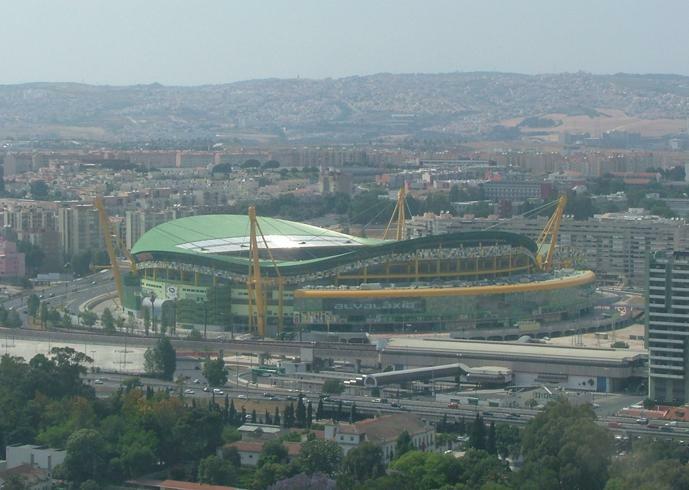 Estadio Jose Alvalade is surrounded by large motorways and residential apartment blocks and housing. Attached to the stadium is Alvaláxia shopping centre, which has a few restaurants and a large cinema. There area around the stadium is of little interest, though you may find the odd place to get something to eat or drink. Still, you will have much more variety in Lisbon’s very nice city centre. The Radisson Blu Hotel is located a short walk away from the stadium on the other side of the Av. General Norton de Matas. Even though it comes at the top of the range, it is not that expensive. There are no alternatives equally close, but there are a few hotels further south near metro stations Entre Campos and Campo Pequeno. The walk is just doable, 20 to 30 minutes, but you can also catch a metro on the yellow line. The NH Campo Grande and Villa Rica Hotel are closest to the stadium near Entre Campos station, whereas Hotel 3K Europa, Barcelona Hotel, and Turim Iberia Hotel are some of the options near Campo Pequeno. For all hotels near Estadio Jose Alvalade click here. Of course, if you are spending more time in Lisbon, staying closer to the city centre may be a better alternative, in which case you can see the available hotels here. Tickets for Sporting CP matches can be bought online, or at the ticket windows of Estádio José Alvalade. Tickets are also available on the gate on the day of the match. Sporting only occasionally sells out a very high-profile match. Ticket prices can depend on the opponent, but for a regular match range in price from €17.00 for an upper-tier seat behind the goal to €42.00 for a central seat at one of the long sides. Estádio José Alvalade houses the Museu Mundo Sporting, which highlights the history of the club. It also offers guided stadium tours. The museum opens seven days a week between 10:30am 1:00pm en between 2:30pm and 6:00pm. Tours leave at 11:30am, 2:30pm, 3:30pm, and 4:30pm. Entrance to the museum costs €8.00, the museum + tour €14.00. For more information email eventos.visitas@sporting.pt or call +351 217 516 444. Sporting.pt – Official website of Sporting Clube de Portugal. Metrolisboa.pt – Information about the Lisbon metro. Beautiful stadium. Was at a match there last week, the atmosphere was electric. Sporting’s ultra fans behind the goal end never stopped singing, chanting & waving their huge flags from start to finish. The ultras fill the goal end, can’t get a seat there, i got a seat on the next section right beside them. We’ll worth a visit for a match, better experience than any English premier match I’ve been at. beautiful stadium. the whole experience is worth it. starting with eating and drinking as fans gather just outside the stadium. with beers for as little as 1euro and the famous “bifanas” sandwiches not expensive either. the organised ultras of Juve Leo always put an amazing show with the banners, flags and smoke flares. the fans never stop singing, and the Frank Sinatra “my way” song is a great competition to Liverpool’s YNWA. SUPERB EXPERIENCE. try to go and watch a SPORTING vs benfica game! !